Very recently the Mogboard site went online which provides live market board data. I have implemented this into the seed details page. You will find the section at the bottom of the page. 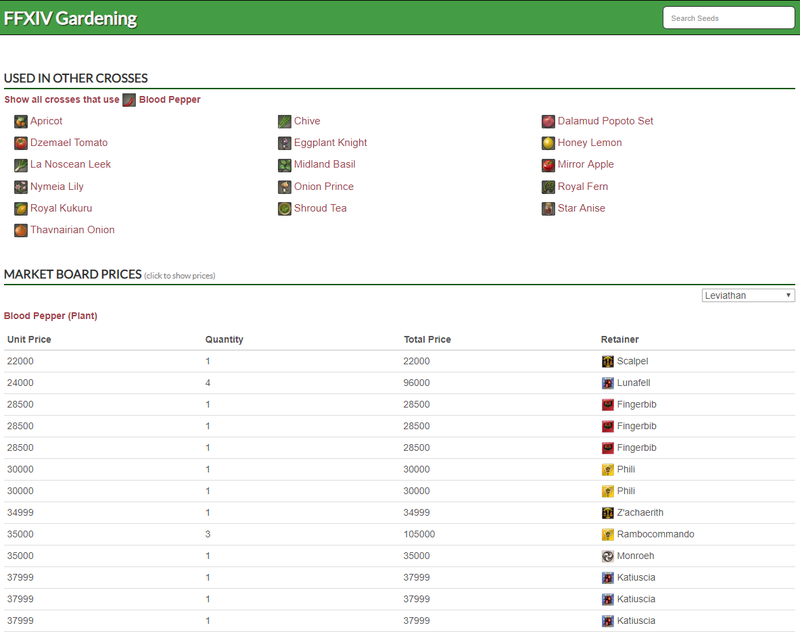 Clicking either the plant link or the seed link will show you a list of the current market board prices for the selected server. This is still very much a work in progress and I hope to add more functionality in the future. As requested I have added the Flowerpot Gallery to the site. 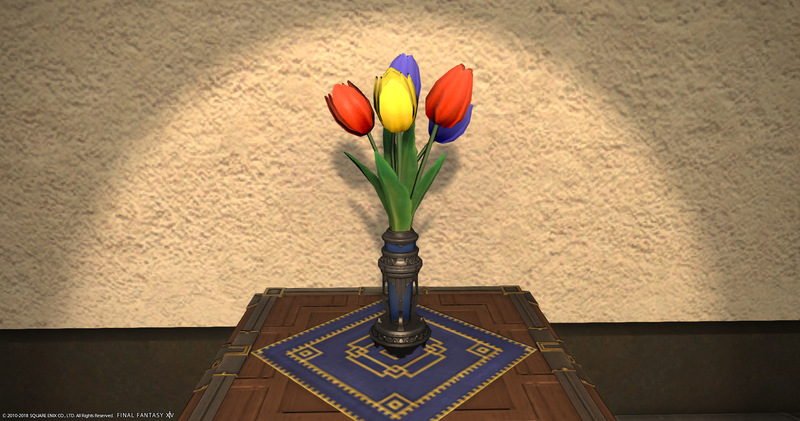 This will show you a screenshot of every flower available in its respective color.